and what have I been doing since my last post 8 months ago? Well, there’s a short answer and a long answer but they’re both very much the same. It’s been an interesting, frustrating, eye-opening, and mostly non-revenue producing trip. I have come out the other side, not sure where that is… and not sure yet if it’s been worth it or not. I am totally overwhelmed though by how fast the days, weeks, and months have flown by. I am still wishing people a Happy New Year and we’re already in April! I feel like I had more free time and got more done when I was working 50 hours a week as a program & project manager. Why is that??? One thing that’s different now is that I am much more relaxed, I get more sleep, I usually get more exercise (except on days like today when it’s been raining all day). I love learning new things and I have been learning so many new things that I feel like I’m stuck in shiny object land – they are all so interesting that I need to start choosing where I spend my time or I won’t ever get anything completed. Consequently – My current internal mantra is: I Am Successful Joyous Completion! As a general update on where I’ve been spending my time, here are the groups that I am now a member of and am participating in their activities, meetings, and group sites. All of these groups provide training, experience, support, a group to participate in, mixed with a measure of personal responsibility because it’s still up to each person to actually do the work! 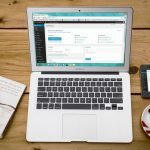 Partnership to Success (P2S) – This is a continuing membership for me as it is with P2S that I started this blog and jumped into Internet Marketing (IM) in the first place. 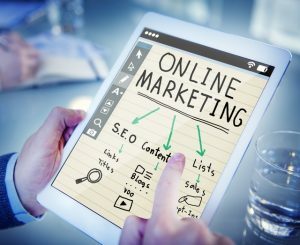 John Thornhill and Randy Smith run a supportive successful group that is focused on learning Internet Marketing, product creation, and list building. The contacts within the group are helpful and provide an incredible base of affiliates to promote each others’ products. They also have bi-weekly webinars showing what they and/or others in the group are doing to create and market products successfully. Randy, John, and the P2S FB group are an amazing resource for all kinds of IM and techie software questions as well as a built in group to help with creating and promoting all kinds of products. NAMS Insiders Group – David Perdew and his daughter Jen Perdew Houlk run this group which again provides incredible, wide-ranging, training on everything from personal clarity to business essentials, internet marketing fundamentals, software, weekly interactive meetings, and a membership made up of people in a wide variety of niches. This group is so fun, knowledgeable, and accessible that I look forward to each week’s meeting because of all of the valuable information it provides. Additionally, there are software products (eg video system, click tracker, website theme), so many courses I can’t begin to list them all, 30-day challenges around subjects like publishing, product creation, content creation, list building, plus the weekly mastermind meetings. This is all just a small part of what I’m getting from being a part of this group! 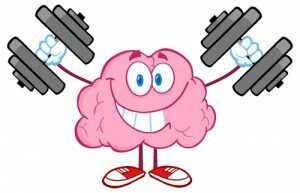 TrainYourBrainU – This is a group that was founded and run by Dana Wilde to give more opportunity for students and readers of her book Train Your Brain and associated teaching. Dana is a very enthusiastic, smart, and successful woman entrepreneur who started out sharing what she learned and developed as a successful MLM businesswoman. That success and mentoring turned into a larger teaching organization where mostly women (some men too!) have joined her to learn and apply her many goal setting, personal success, and personal growth programs in their daily lives. Again, there are webinars and training programs as well as a highly participative group of members who support and encourage each other on a daily basis! Her site and membership group is TrainYourBrainU (TYBU). I am very lucky to have found 3 groups to learn from and grow with and that are all different enough from each other to give me a wider view of life, internet marketing, and ways to create a successful life and new Evolving Career. Be sure to check out the FREE PDF you can get via email at the top of the Home Page. It’s an informative book by my P2S coach, John Thornhill. You’ll learn a lot by reading it. 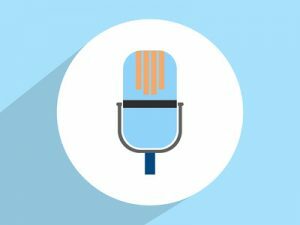 Stay tuned for my next post where I will tell you all about my new adventures in Podcasting!! 8 replies to "Where Have I Been?? Let me tell you…"
I definitely agree with you about life consuming you without realizing it until one day you look at the present situation and begin wondering why you are not at the place you thought you would be. Looking forward to reading about your adventure in New York. I somehow don’t think we’re alone in this. Too easy to get distracted with life and shiny objects! Hope you enjoy the New York posts. Greg – thanks for the comment and good luck with P2S. I’m actually taking a break from it – never got a product out and am working on creating a podcast instead at this point. When that’s a success then maybe I’ll go back to P2S to create/sell a product to walk people through starting up a podcast (Randy’s idea…). Hello Susan, this was a great read as I am sure there are plenty of people feeling the same way. I know I have in the past and I have wasted tons of money doing just that. Of course I am talking about shinny object issue. When I joined P2S I made myself not to get distracted and so far so good. I will tell you, I have learned more John since I’ve joined than any other program before. I am truly excited about where this will take me. Any way I enjoy looking through your blog and I defiantly will be back. I am also going to look into the other groups you mentioned but not until I complete P2S but I am looking forward to learning more. Here is to your success. Ken – thanks for the comment. I also learned a lot from being in P2S. I just couldn’t get to the point of creating a product. I found that my passion is elsewhere – namely a more health related niche. But I will be using much of what I learned from John & Randy in my new venture. I will have to come back to the blog and use it as a part of documenting what I’m doing with my podcast. Thanks again for your input and good luck with P2S. 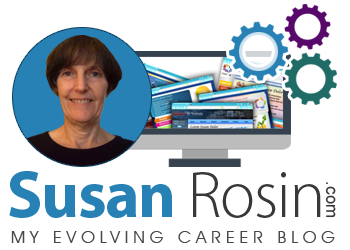 Susan I love how your blog is looking these days, mine is still in it’s infancy. I know what you mean about life getting in the way a bit, I think we have all been there at on point or another. I’m wishing you the best on you passion in the health niche, let us know how it goes! Lucinda – Thanks for the comment and good wishes. I am glad you like my blog, it has certainly “evolved” along with me although I don’t post as often as I should. Good luck with yours – let me know when you have some posts up and I’ll be happy to add a comment.